I started playing the trumpet about 56 years ago in Belleville, NJ, a suburb of Newark, NJ, taking lessons for two years before I got to high school. I played in the Belleville High School marching band for four years, as well as in the wind concert band, jazz band, and occasionally in the school's orchestra. I also played in the college concert band for four years at Stevens Institute of Technology, NJ. I was force drafted into the ROTC marching band for major parades and ceremonies. In addition, I played in the pit band for the Broadway musical "Guys and Dolls". Despite the near daily rehearsals for a whole semester, I enjoyed that immensely. After graduation in 1961, every seven years or so, I would pick up my horn, practice for a month or two, and put it away. This practice continued until 1998, when I started retirement from Kodak in Rochester, NY and committed to play with a group on a continuing basis. In three years, I connected with two concert bands (Kodak company band and my town's community band) and a jazz big band. Life was good as I was playing steadily, and even occasionally playing in pit bands for amateur Broadway musicals and in summer jazz ensembles. This continued until 2004, when I bought a house in Far North Dallas to spend most of the year there, and return to Rochester for the summer and early fall. I had to give up my positions in the Rochester bands as I wasn't there full time. In 2006 I joined the Richardson Community Band, and in 2007 joined the Town North Band. My goal is to rehearse or perform around three times a week year-round so as to build my endurance and range. In 2015 I switched from trumpet to baritone, as the Town North Band was badly in need of baritones at the time. 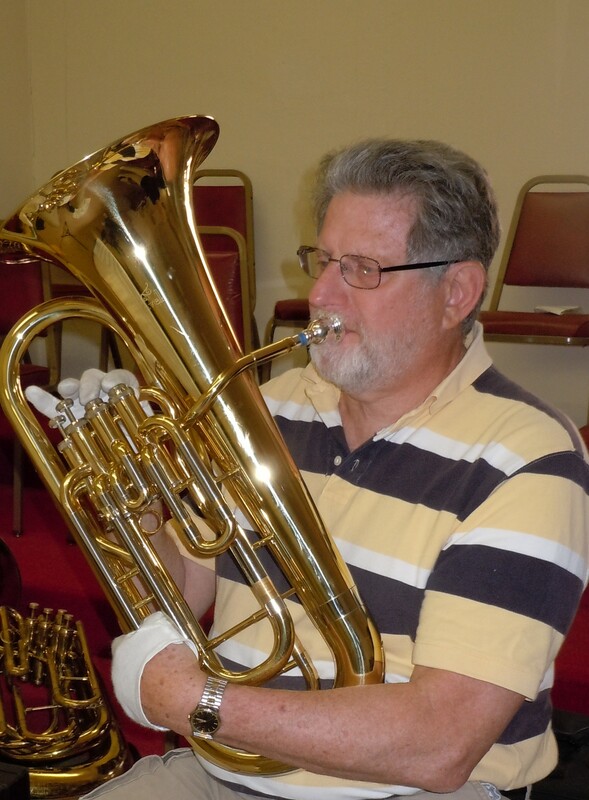 In early 2016 I joined the New Horizons Band - Dallas, continuing to play baritone.